Advent . . . a time of waiting and a time of preparing. If we gave sufficient time to the spiritual aspect as well as the holiday/baking/gift given perspective, one should now be with a sense of peace and excitement about what tomorrow will bring. My husband decided to spend Christmas Eve (AFTER he helps with the housecleaning! 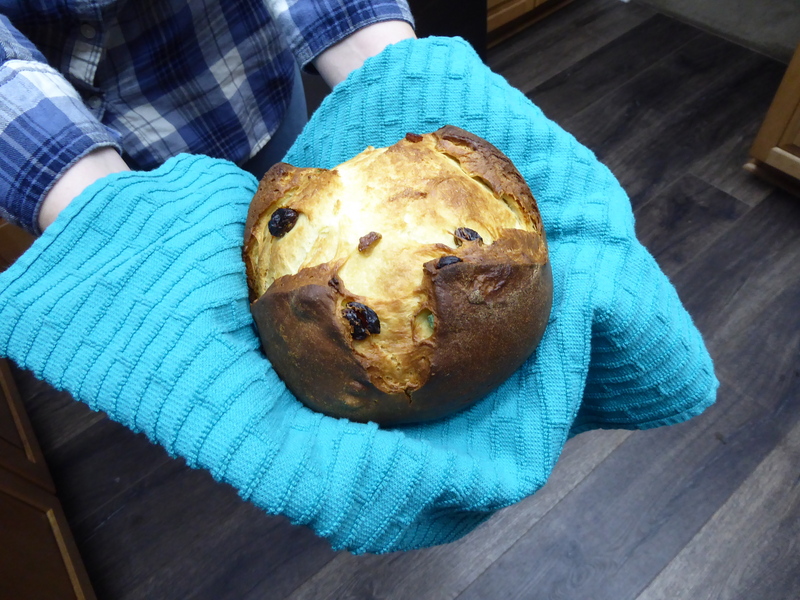 ), creating a Panettone with my daughter. They have been glued to the bread book all week reading and rereading the directions and lining up ingredients. The recipe calls for a ‘starter’. To those uninitiated in the ins and outs of breadmaking, there are times when a recipe calls for nurturing a mixture of water and yeast into a gentle rise which will be the leavening ingredient in the final outcome. My daughter is 28 years old but decided that the starter needed a name so they have been periodically checking on Hector. He is doing fine, by the way. Earlier in the month, my daughter and I spent her day off from work icing cut out cookies and the four hours it took were amazingly fun as we talked about things, admired each other’s handiwork and overindulged in edible glitter and sparkles for the cookies. We plan to attend Mass on Christmas Day and then my job will be preparing a beef roast along with two vegan dishes for my son who went vegan a couple of years ago. After that, presents and another set of memories until, God Willing, we make some more memories throughout 2019 culminating in another Christmas together. A Sweet Prelude to Christmas . . .
Beginning to Look Like Christmas . . .